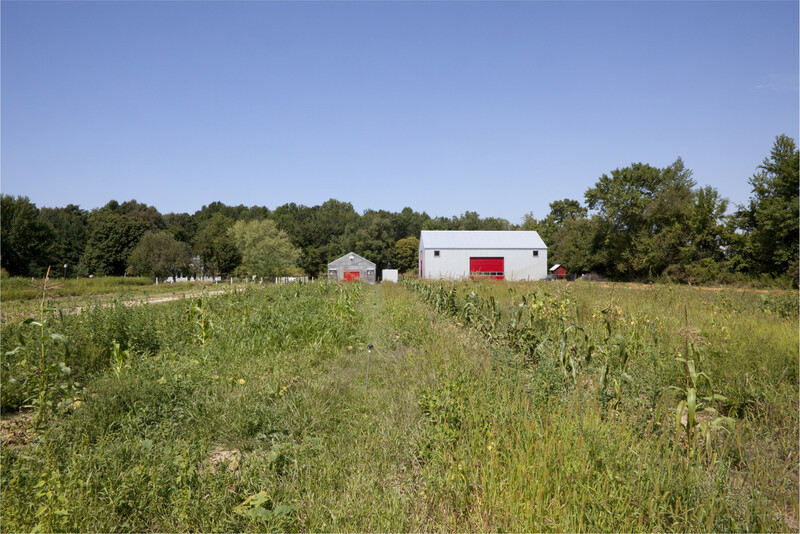 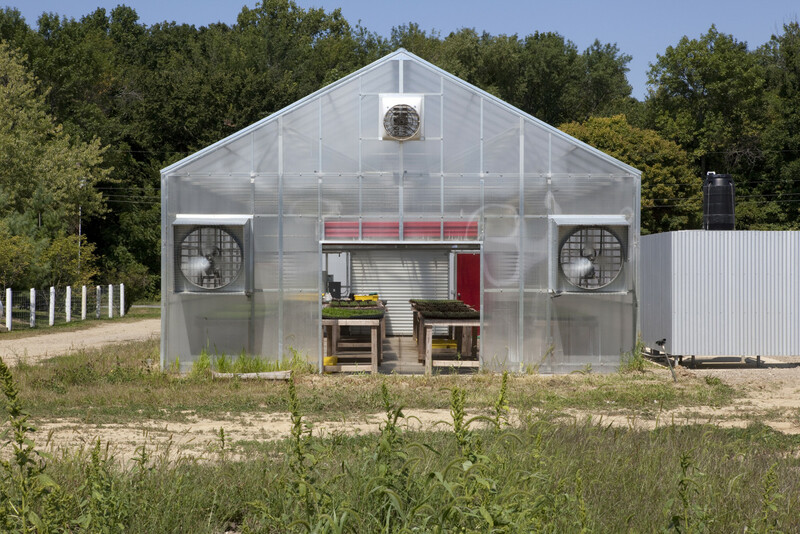 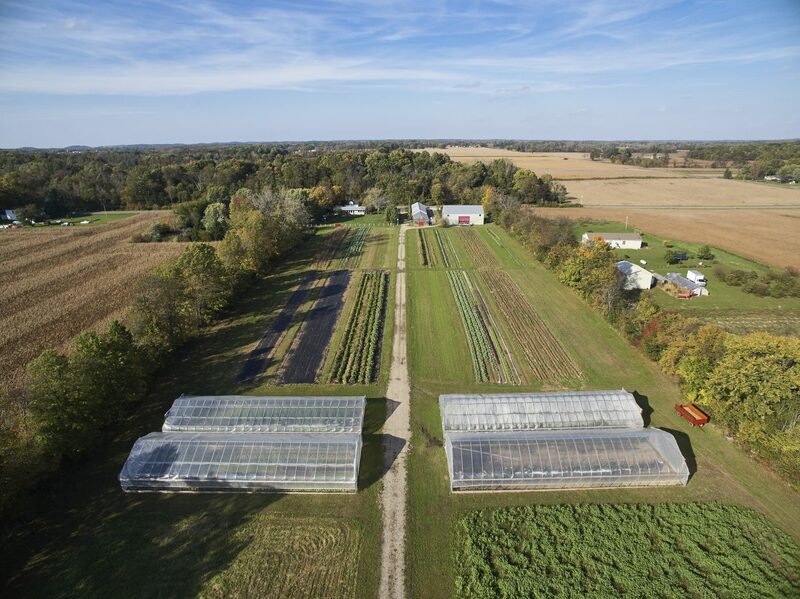 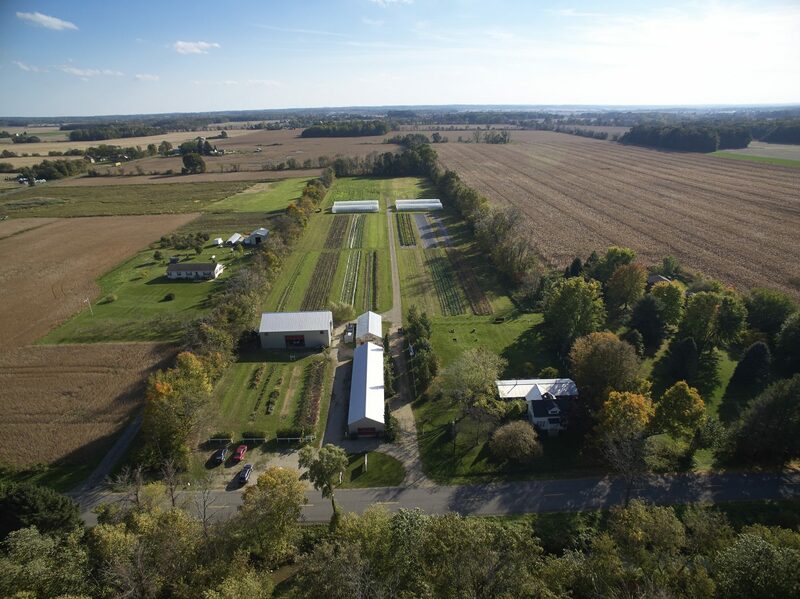 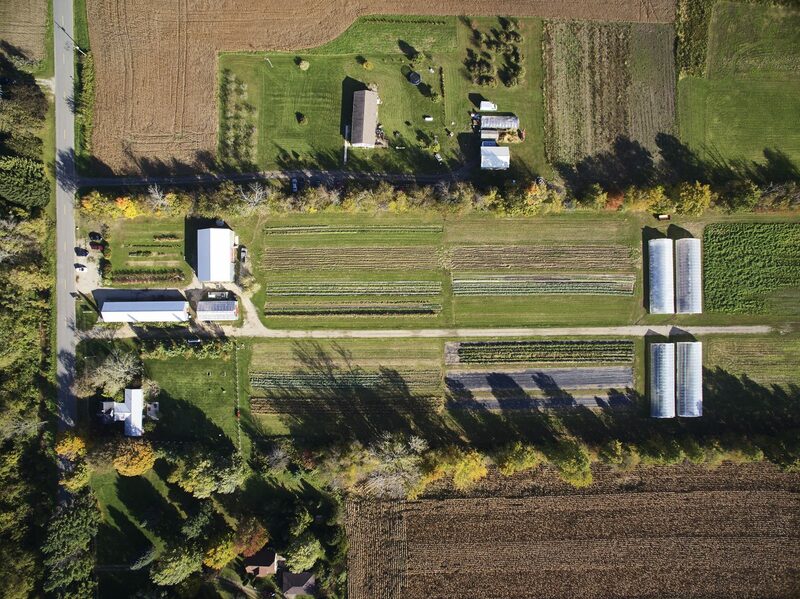 The first certified organic vegetable farm in Michigan (! 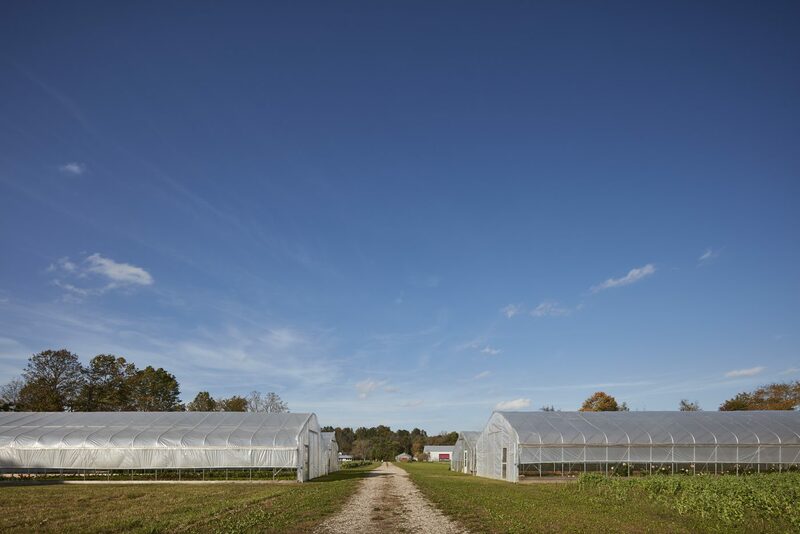 ), the assignment was to masterplan and sequence the growth of this start-up. 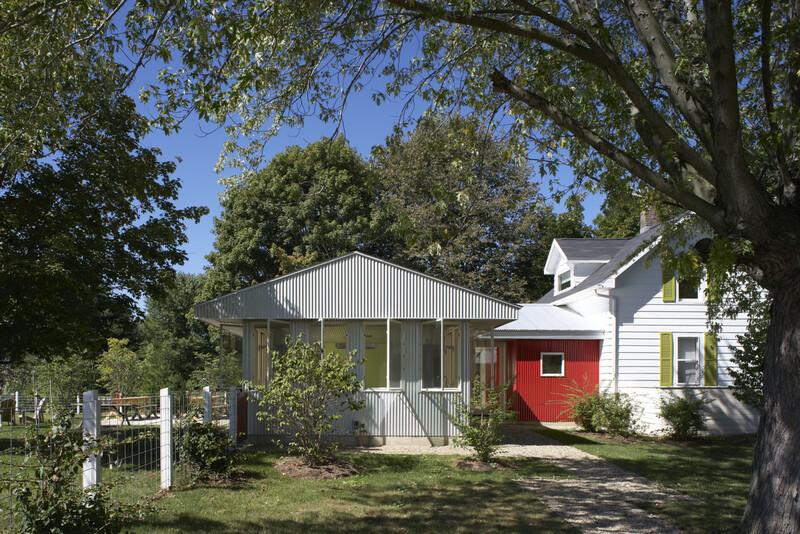 A 10 acre parcel of land just west of Three Oaks Michigan was found, along with an original 16’x24′ frame house. 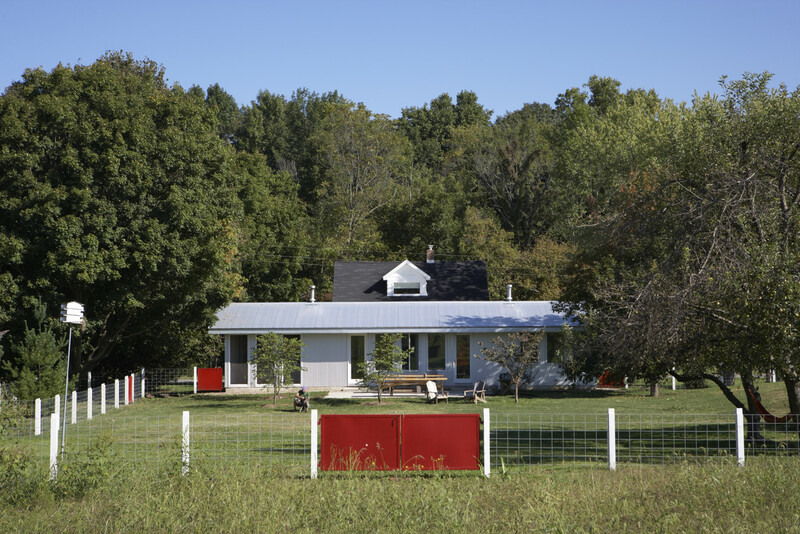 This house was restored and painted white, and serves as the office and sleeping quarters for the primary staff. 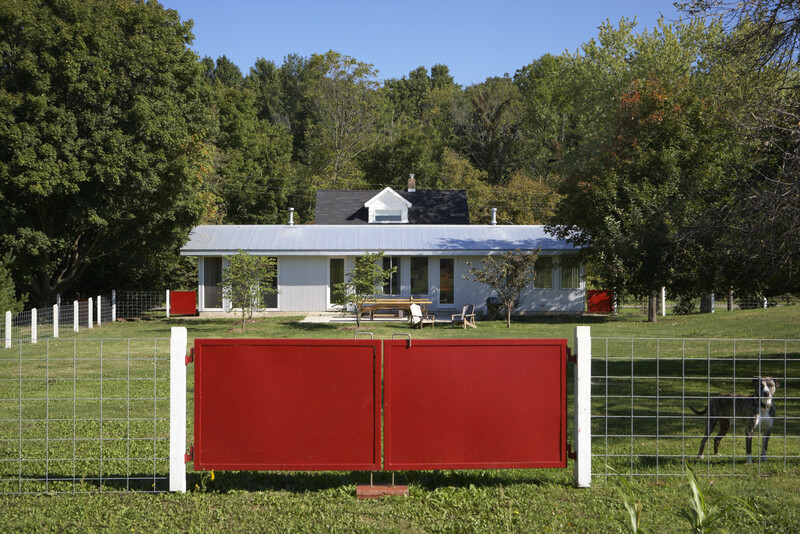 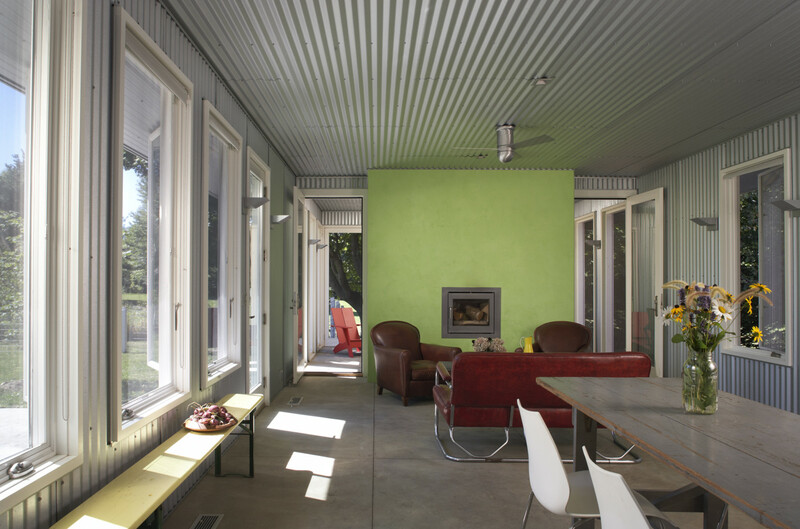 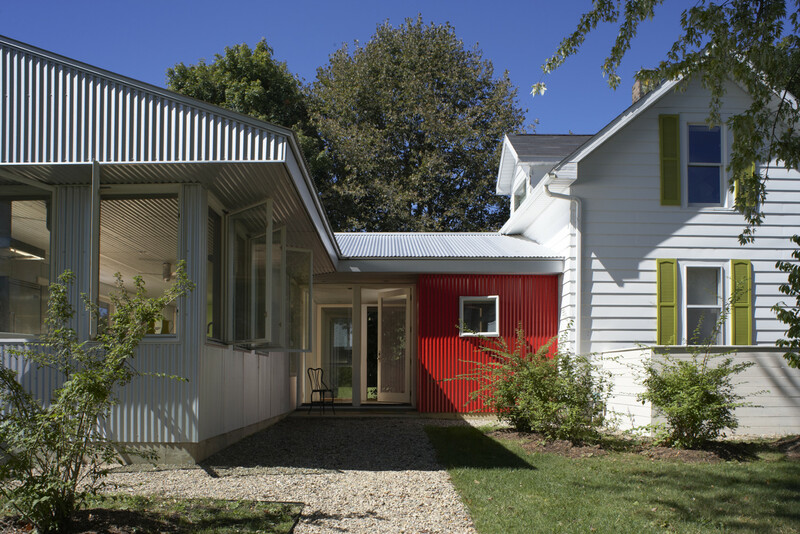 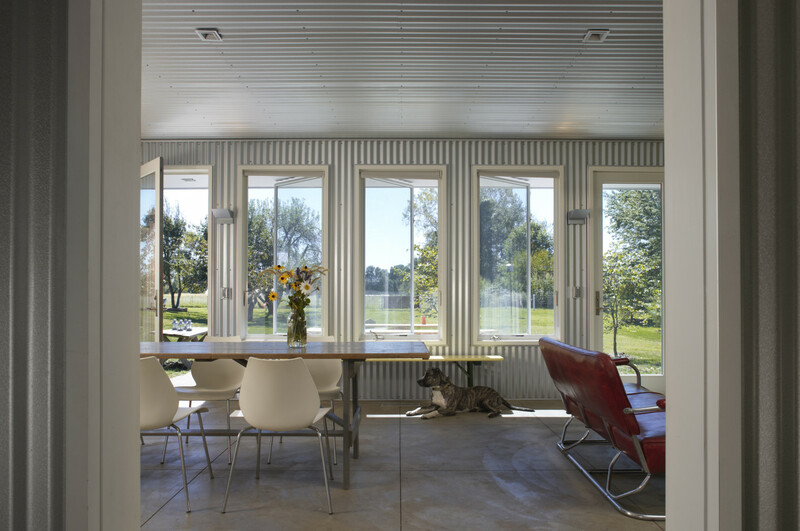 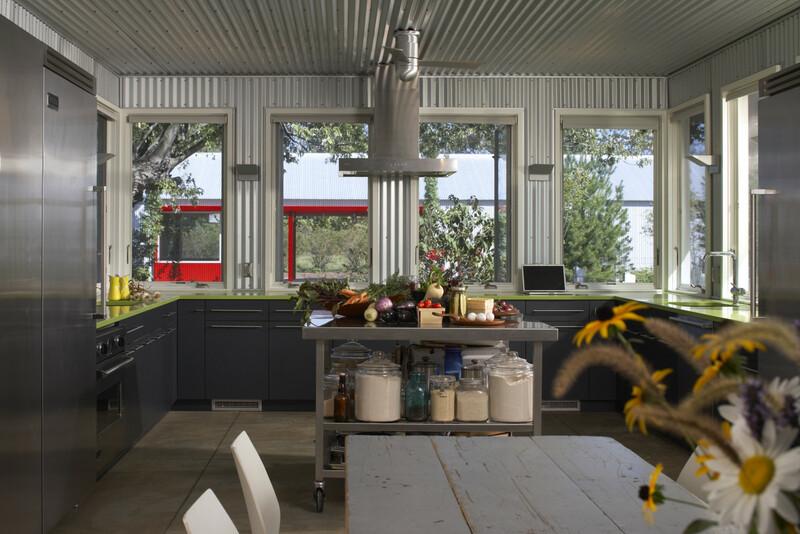 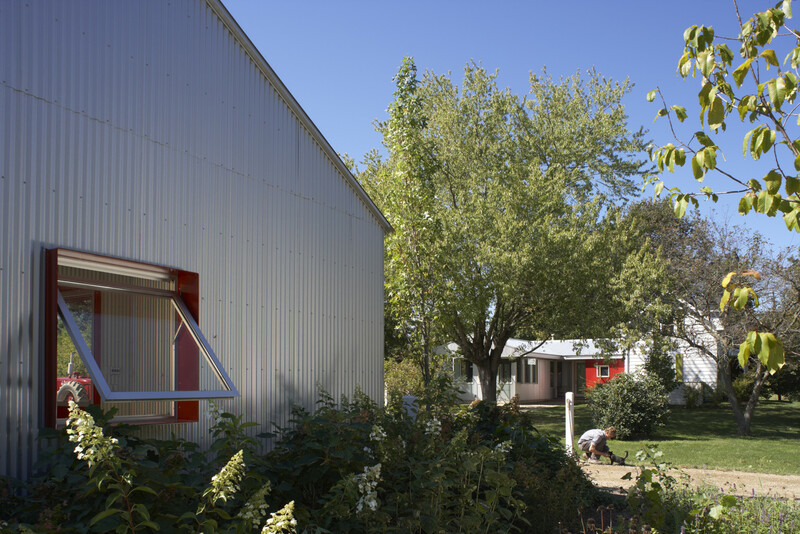 From this a utility/entry dogtrot link and one story kitchen/dining/porch were added, clad inside and out with galvalume, inverting the traditional red siding to accents. 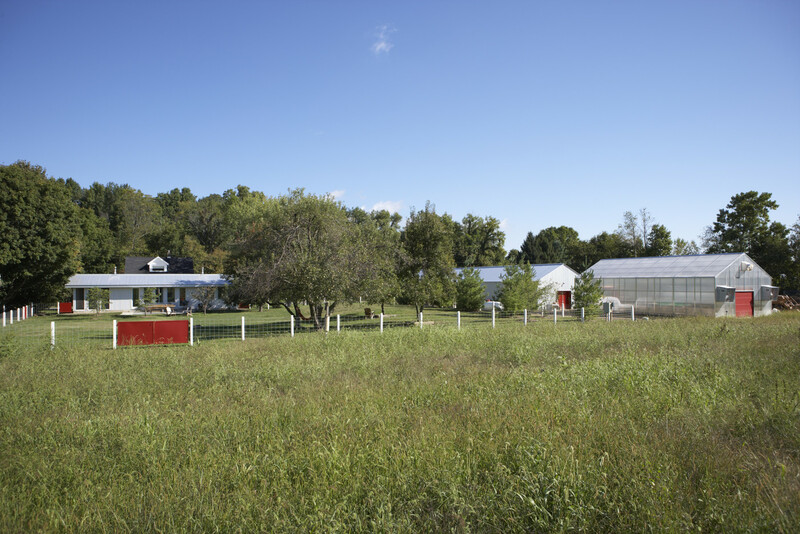 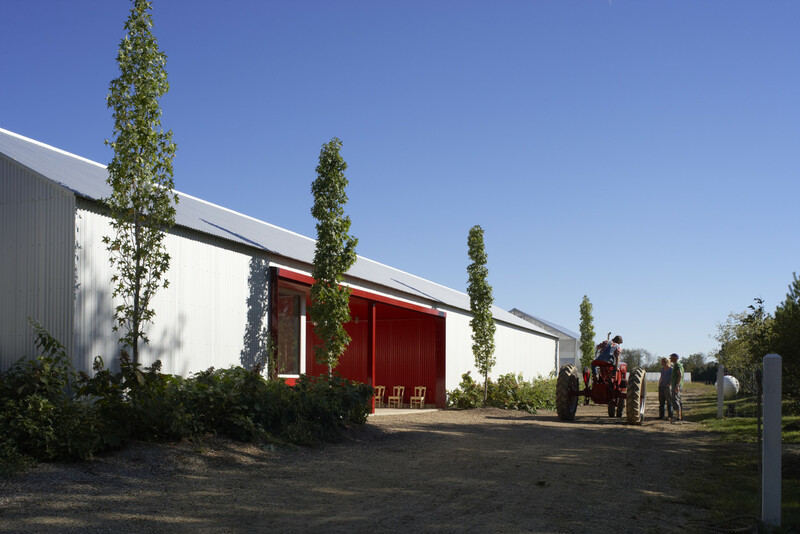 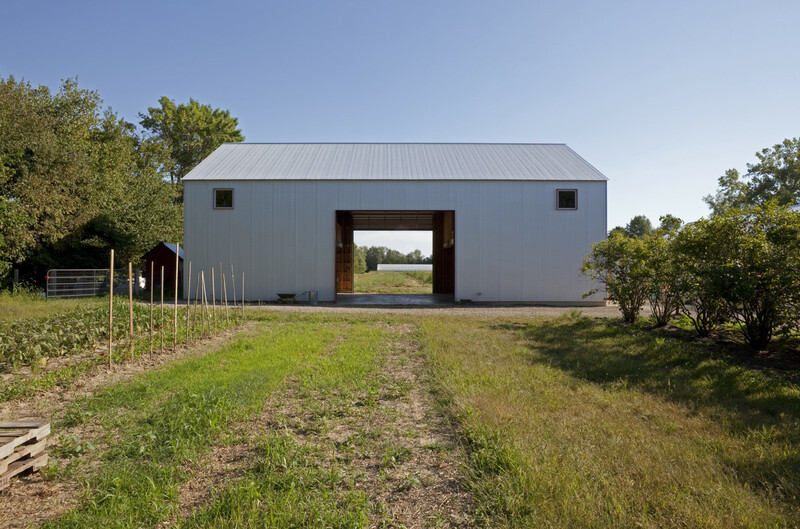 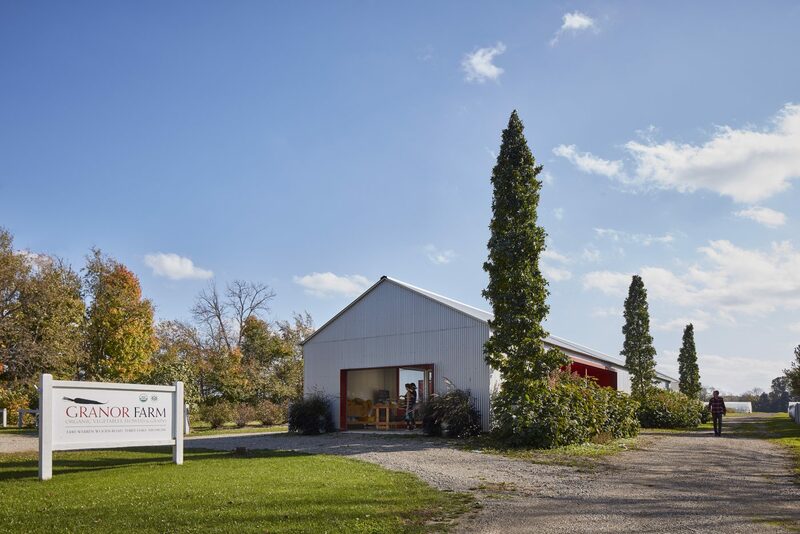 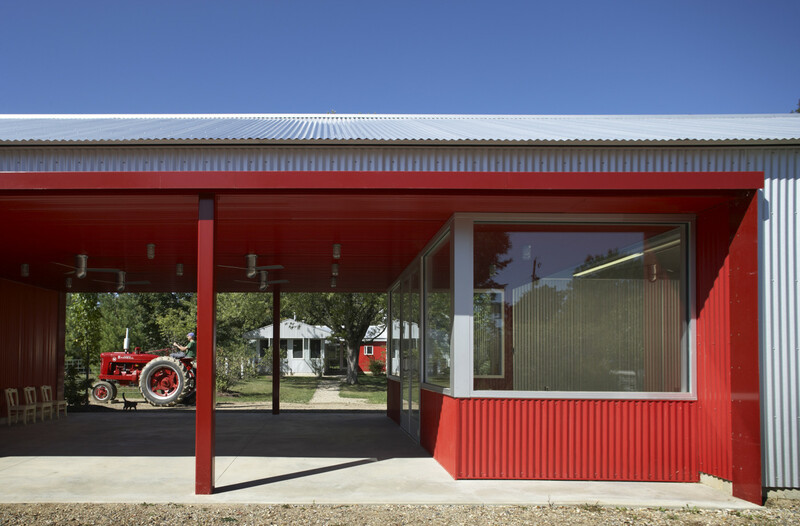 A long vehicle barn and greenhouse were completed as a first phase, the second phase being an exterior solar-heated washstand and a 40×60 two-story barn including quarters for seasonal staff which nears completion.